paintings capture history and atmosphere with bold colours and an impressionistic style. 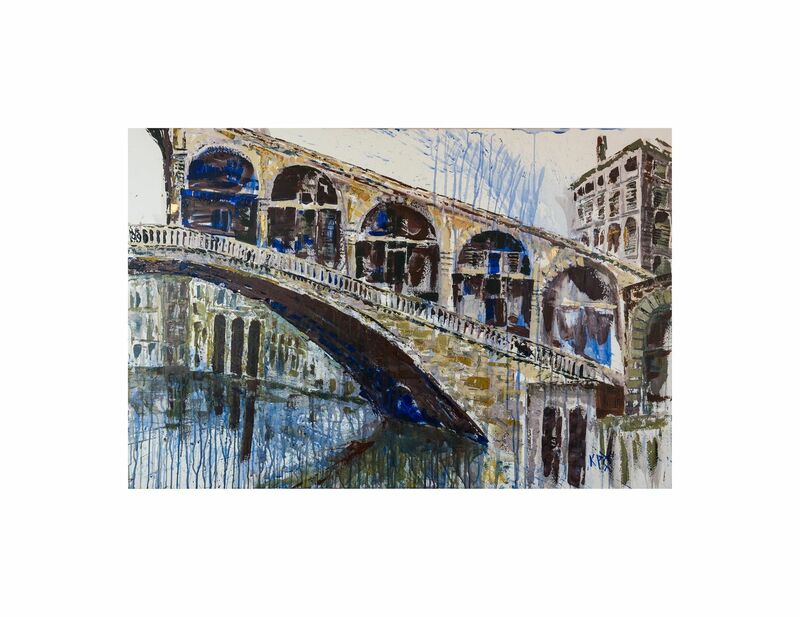 Zsuzsanna Pataki is an avid student of urban life, often painting cityscapes en plein air (on site), noting the peaceful coexistence of ancient architecture and contemporary designs. Venice is one of Zsuzsanna's favourite subjects, with its wealth of history and warm colours. 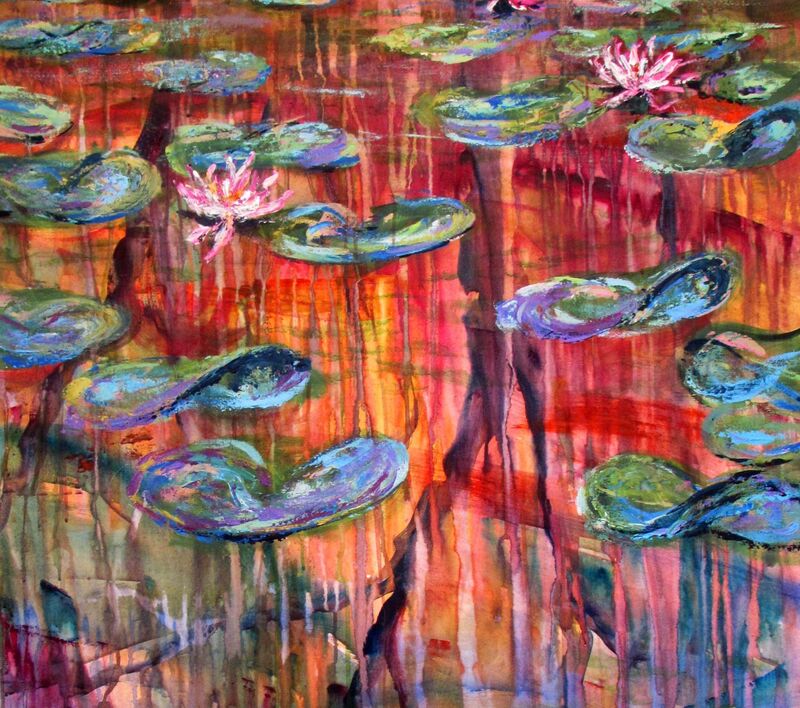 In concert, her nature-themed paintings of lilyponds are a dance of colours and shapes. 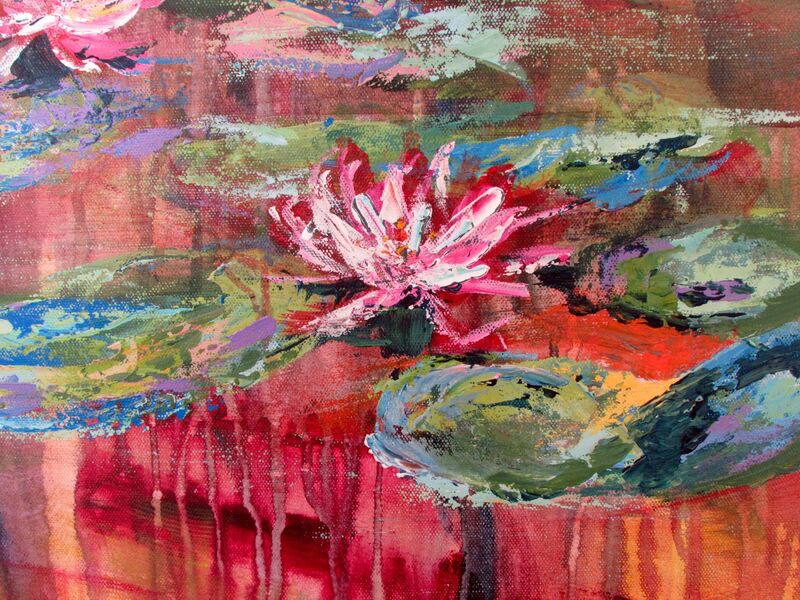 Alternating layers of runny liquid acrylic paints and thick impasto worked with palette knife, Zsuzsanna invites the viewer to complete the story of the artwork with imagination. 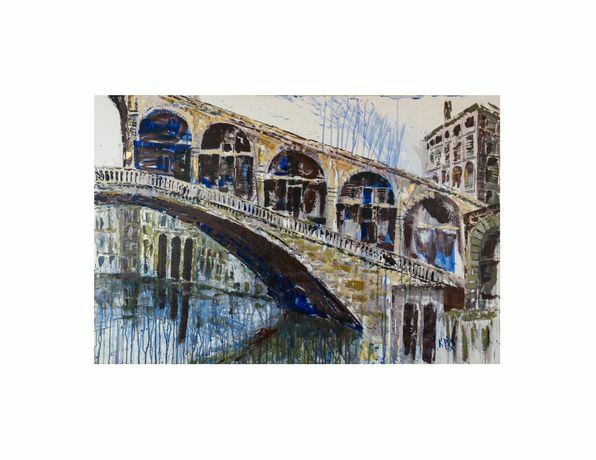 Inspired by the great Impressionist masters’ understanding of colour theory, the design principles of Expressionism, and sense of drama of Baroque masterpieces, she fills her paintings with a unique, playful mixture of traditional and modern elements. "The goal is to arrest the viewer, then entertain and hopefully make her think." Zsuzsanna goes on to say "Our knowledge of the world is fractured, our understanding is coloured by interpretation. Painting with the palette knife allows me to highlight the beauty and remind myself and the viewer of how temporal, fragile and partial the picture is. I expect the viewer to put together the pieces. I paint a puzzle: we never have the whole picture… and always add our own bit to the story." Zsuzsanna will be in the gallery to meet with visitors and talk about her work Thursday 28th March from 11am - 6pm. 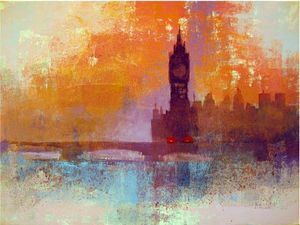 We look forward to welcoming you to our gallery in historic OXO Tower on London's beautiful South Bank.